You are currently browsing the archives for the tag 'natural hair care'. 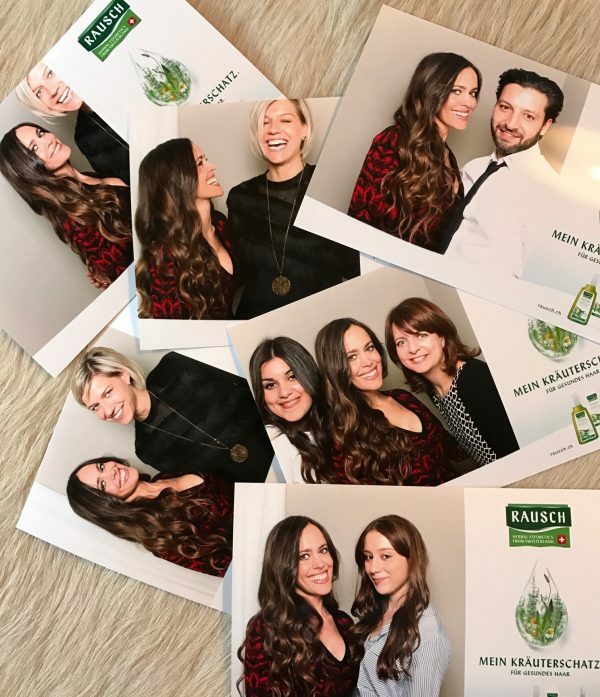 Last week, I was invited by RAUSCH for a hair treatment and blow dry at MURAT TOKAY. 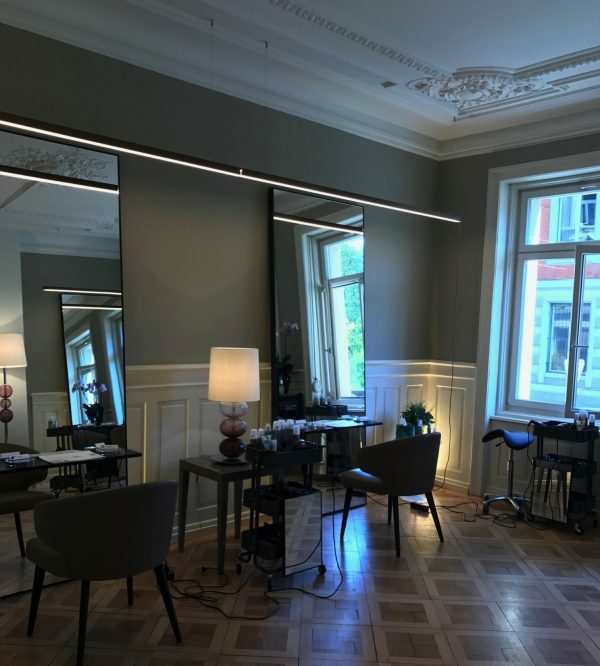 The beautiful salon is located close to Bahnhof Enge in Zurich and Murat, whom I know from his previous job at Charles Aellen Company before he opened his own salon three years ago, is a true figaro, who has an extremely good eye for hair. But let’s come back to the company that has actually invited me, RAUSCH. Founded in 1890, it is still owned in third generation by the Baumann family. Guaranteeing the highest possible percentage of natural raw materials from nature, the Swiss brand uses the power of herbs for the health of your hair and skin. The philosophy is pretty impressive. 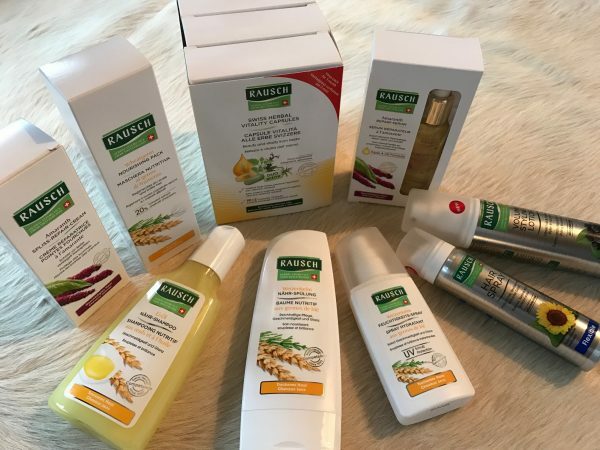 Extracted from 87 herbs, oils and plant extracts, RAUSCH combines centuries-old herbal knowledge from convents with the most modern scientific technique. 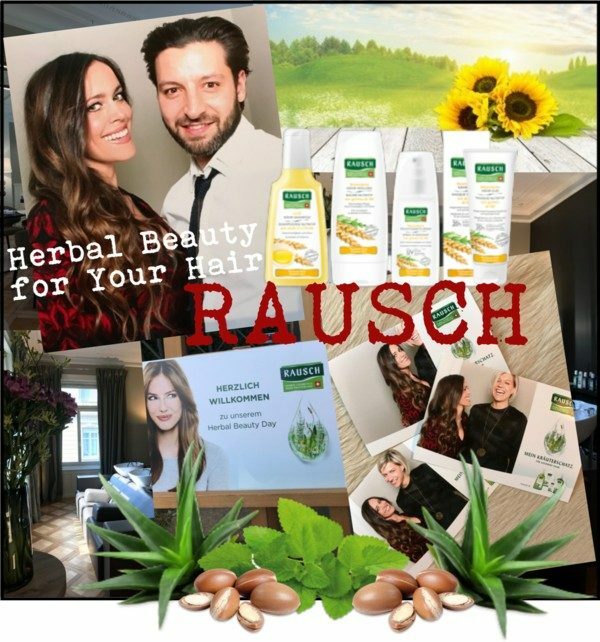 Premium quality, ideal tolerability and sustainability, the tensides used in RAUSCH haircare are produced using renewable raw materials and are ideal for cleansing and treating both hair and scalp. When you start using the products, you might not have the wow-effect you will get from the ones that use a lot of silicones as they coat the hair in a plastic like substance which sits on the strand’s surface giving the appearance of silky soft and smooth hair, but which are actually not so good for the long term health of our hair. Why is that? It is pretty simple, the coating will prevent moisture from penetrating the hair shaft. Let’s be frank, 125 years’ experience of careful dealings with herbs seems to be pretty trustworthy. Great news is that the products are fairly priced. 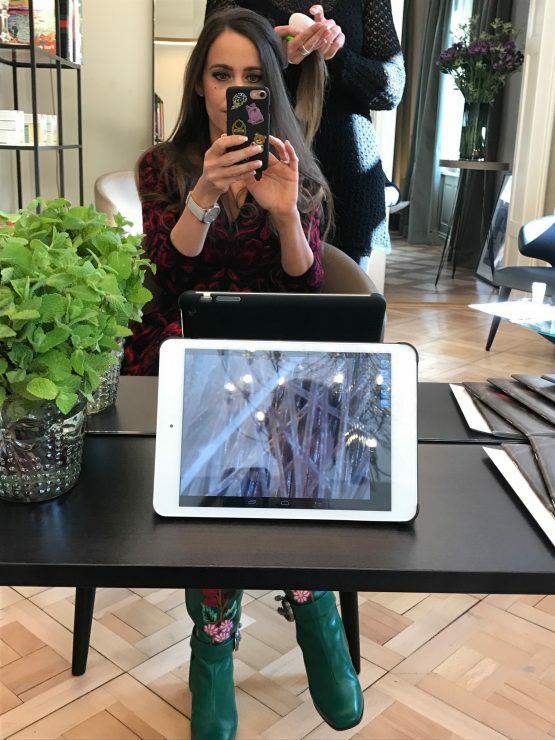 Me getting the hair analysis – on the iPad in front of me I could see my strands enlarged. I got started off with a hair analysis and was very happy to hear that my scalp and hair is absolutely healthy, just very dry. Therefore they recommended their Egg-Oil NOURISHING SHAMPOO, that is said to nourish the structure of dry hair with valuable proteins from fresh egg yolk and wheatgerm extract. The best? It smells like cake dough. Promise me, to try it! At least smell it, it is so good! With my new hair beauty regime that was recommended to me, I will hopefully enjoy shiny, bouncy hair styles like the one Murat created for me last week.